What is it? A simple app consisting of stock as well as user-generated writing prompts for jogging inspiration. Platform: Android (available here on Google’s Play Store). Features: 700+ stock prompts for story ideas, 500+ first line prompts, and 1000+ user-submitted writing prompts. Bookmark and share prompts, and you can submit your own. Pros: ‘Helped with writer’s block’. ‘Different genres’. ‘Helping me do more writing’. Cons: In-app ads, some grammar errors, occasional bugs reported. Average rating: 4.5/5 (Google Play Store average rating). ‘I really like this app. It has a lot of really good writing prompts. But there is way too much [sic] grammar mistakes. 4 ⭐’s’ – review by user Haily Moen. What is it? A browser-based applet for generating ‘nonsense’ (but sometimes sensible and inspiring) sentences. Platform: Any (browser-based, works on desktop and mobile – try the tool here). Features: Bare bones – a button for choosing a noun, a button for choosing a verb phrase, and a button to replace the existing sentence (‘Generate!’). – A fly is not yet ready to die. – A caring mother visits Japan. – Clear water is not enough. – A cranky old lady shakes beliefs widely held. Cons: Not every sentence is usable. ‘Some of the writing prompts the tool generated were broad enough (e.g. ‘clear water is not enough’) to make me think deeper about the sentence and multiple things it could come to mean if developed into a story.’ – Now Novel staff member Jordan. 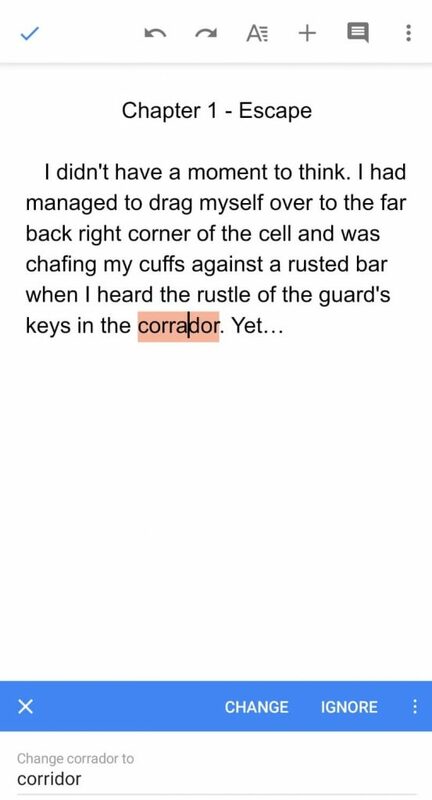 Screenshot of the Now Novel dashboard on a mobile device. What is it? ‘The Dashboard’ is our browser-based tool that walks you through outlining a story in easy step-by-step prompts, generating your outline as you go. Platform: Any (browser-based, works on desktop and mobile – learn more here). Cost: Free to find ideas and outline a character (trial), $15/month for full access with multi-story support. 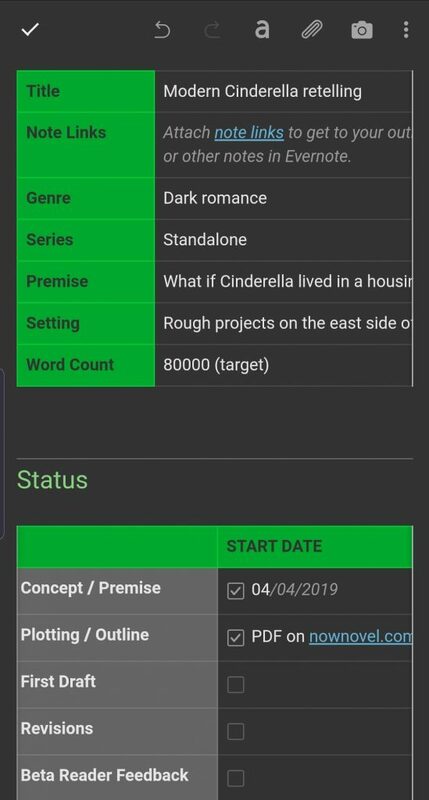 Features: Story outline generator (automatic outline creation as you answer step-wise prompts). In-tool examples and recommended reading. Store multiple outlines and toggle between them (premium feature). Scene Outlining and World Building tools (premium features). Free critique forum. Google Docs integration. Pros: ‘A wealth of information in small, easy to digest, doses’. ‘Very easy to navigate and use, and the features in it are so useful for brainstorming and writing’. 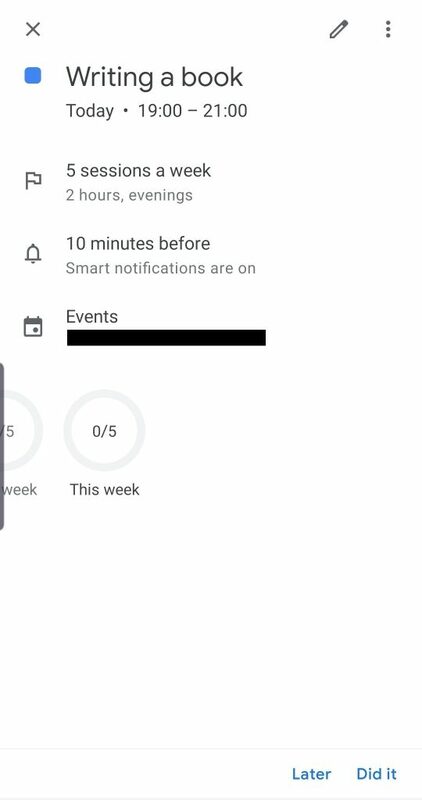 Add writing goals to Google Calendar, and schedule weekly sessions with alarms. What is it? Google Calendar is a mobile app and browser-based tool with useful task-planning features for making time to write. Platform: Any (browser-based, apps for iOS and Android devices – learn more here). Features: Create schedules for specific tasks (such as writing or editing your story). Batch alarm notifications to go off at a set time before your scheduled writing/revision sessions. Send yourself email reminders. Track and monitor how many sessions you complete weekly. Pros: ‘Helps me keep things organized’. ‘[I] never forget a task’. ‘Works very well, I particularly like to colour-code’. What is it? A minimalist browser-based timer you can use to set time for free-writing sessions or general writing-related tasks. Platform: Desktop (browser-based, try it here). Features: Set YouTube Videos to play when time’s up (choose a motivating favourite song, for example). Pros: Browser tab displays time left. 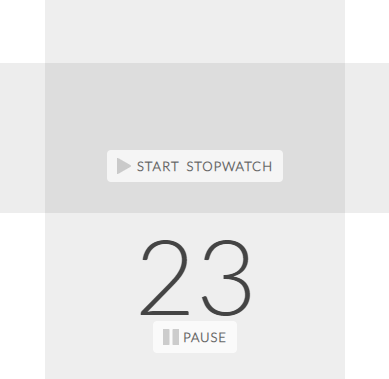 Basic stopwatch, countdown and alarm functions. Cons: Completely minimalist (if you prefer more features). No mobile app. Example of Evernote template for managing a story draft, including task checklist. What is it? A feature rich note-taking application for storing ideas, articles, research and more. Platform: Desktop and mobile (Android and iOS, website here). Cost: Free to use, premium features (e.g. more storage space) available on plans starting at $7.99. Features: Save extracts or whole articles from the web to notes. Write and save handwritten and text notes on your device. Add attachments to notes. Use templates (such as the story tracking template in the screenshot above). Pros: Take notes for your story on the go and sync to your desktop device. Organise articles and other information into collections to keep related information grouped together. Create checklists for tasks such as the stages of completing, type-setting and marketing your book. What is it? A useful browser-based tool for creating visual timelines of events such as key events in a chapter or your story’s historical background. Platform: Desktop (try it here). Cost: Free to use, premium features such as saving private timelines begin at $3.9 for one day’s pass (and $14.9 for one month). Features: Export timelines to multiple formats including spreadsheets and images. Toggle between a timeline view and a simpler sequence of items stacked vertically according to chronology. Pros: Add images to timeline events. Change events’ background colours (for example you could colour-code rising action red and falling action blue). Cons: Having to pay to save your timelines privately. ‘EASY to use – just point & click!’ – Facebook review. Crete lists to organise sections of your story and add descriptions and links to individual summaries. What is it? A list-making, information organising tool. Platform: Desktop and mobile (browser-based mobile-responsive app – try it here). Cost: Free to use for unlimited lists and cards, premium features start at $9.99 per month. 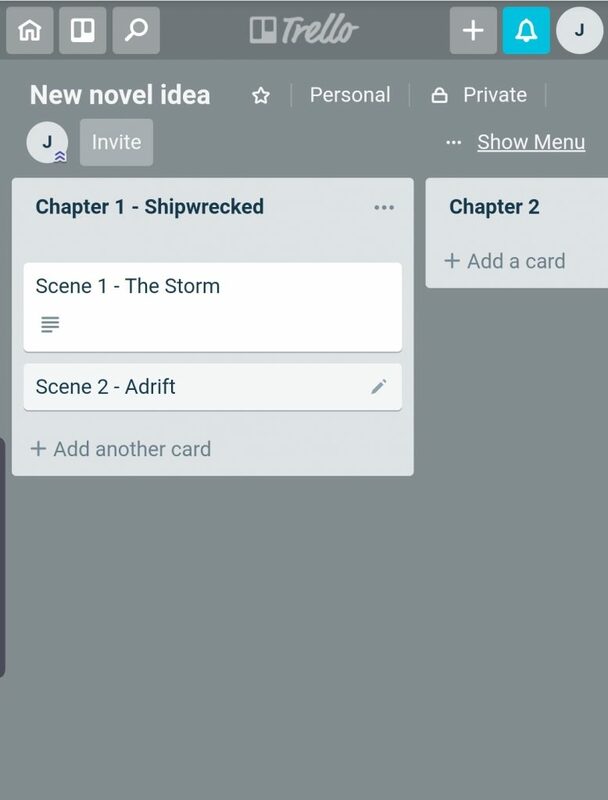 Features: Create colums of lists containing cards and give each list and card its own title and description (you can create a list per chapter, as in the screenshot above, and a card per scene summary, for example). Add checklists to cards and attachments (you could add a draft of each scene to its summary card and track versions). Cons: ‘Linking cards between boards still lacks in simplicity.’ ‘Simple image editing tools are not available, but would be of great value.’ (More reviews here). ‘You can use Trello as an elaborate link dump outlet during web surfing sessions. As a writer, i often find a lot of stuff that doesn’t fit any category but begs to be saved for later – Trello is perfect for that kind of stuff.’ – User Volodymyr B.
Google Docs app – find spelling errors and sync versions of your drafts between mobile and desktop easily. What is it? 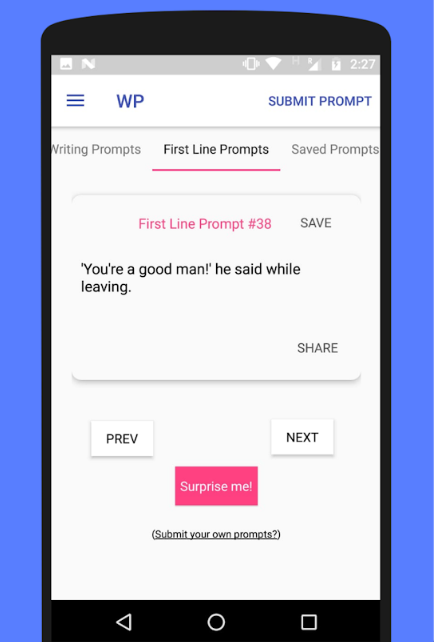 Google’s free writing app and cloud-based word processor. Platform: Desktop and mobile apps (Android and iOS – web version here). Features: Work offline and sync to your Google account when you have internet. Format your writing with basic formatting including fonts, bolding, italics and more. Find-and-replace and spell check features (as per the screenshot above). You can also import your Now Novel outline directly into Google Docs using our add-on. Many of Now Novel’s writing coaches use Google Docs for giving the authors they coach in-line commentary. Cons: ‘Sometimes the formatting that you see in the Google Doc version of what you’ve created doesn’t match with the output that you get when exporting.’ ‘Too many overlapping services (Docs and Drive e.g.) make it confusing to navigate and find files again.’ (More pros and cons of Google Docs for writers here). What is it? A grammar checker and style editor that integrates with popular writing apps including Scrivener and Google Docs. Platform: Desktop (see ProWritingAid’s article on using the suite of tools with Now Novel here). Cost: Free to use for basic features (19 writing reports, edit 500 words at a time). Premium starts at $60 per year for unlimited words. Features: Automatic style improvement suggestions. Error-checking (SPAG). In-app explanations of key grammatical terms (to help you learn to avoid making the same mistakes). Integrations with Google Docs, common web browsers and Scrivener. Pros: ‘This is where I think ProWritingAid has the best competitive advantage over any other proofreading and editing software. Not only is it cheaper than Grammarly and others, they also offer a lifetime version.’ Read the full Kindlepreneur review. 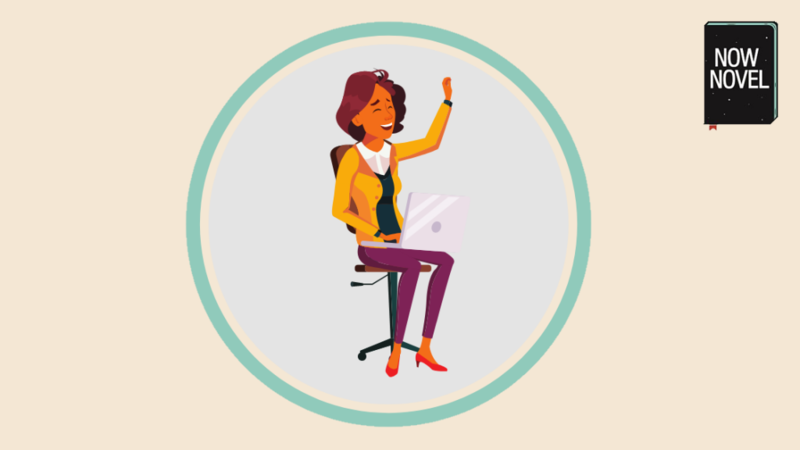 ‘It literally takes a couple of minutes to figure out the user-friendly tools and setting up reports to review your areas for improvement.’ – User Juan, over at Capterra. 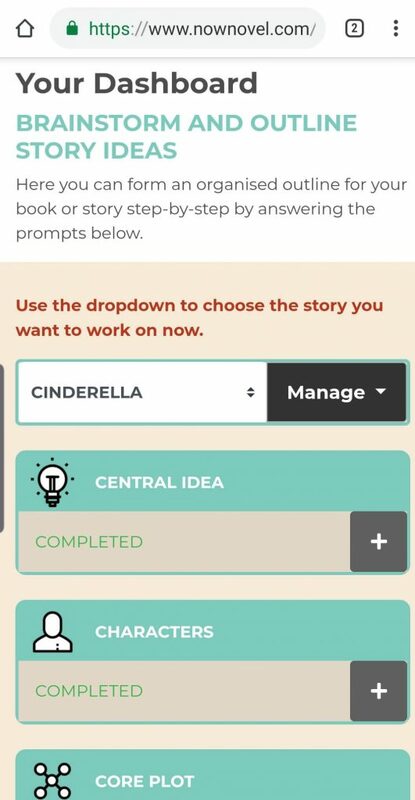 Start brainstorming and outlining ideas using the Now Novel dashboard and get help finishing your story from peers or your own writing coach. What are your favourite writing apps? Share your thoughts in the comments below.